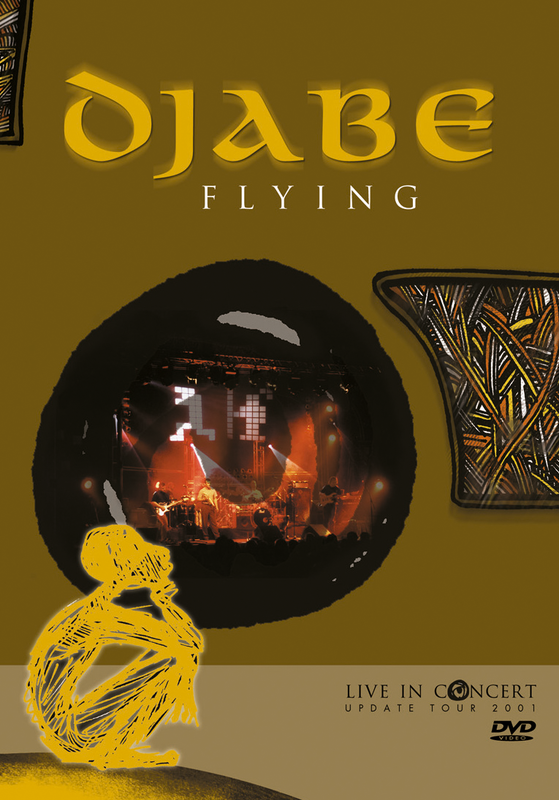 In 2001 Djabe completed a very attractive and successful concert tour with Ben Castle promoting the new Update album. The band played incredebly well, you can enjoy unique sax, violin, trumpet, keyboard and bass solos. Djabe put together the old and the new tunes in one set, representing the whole carrier of the band till 2001. The first Hungarian world/jazz DVD was made from three hours long gigs. On top of the concert video, the DVD also contains a 20 minute documentary, interactive menu, biographies and discographies. Barabás Tamás, who is the sound engineer of the group, made an amazing 5.1 surround sound to complete the spectacular Vari•Lite vision of the show.